April | 2014 | Om nom nom! In an attempt to get control of eating out so often when we are pressed for time, we decided to give the whole freezer meal thing a try. It’s a little challenging when low carb is involved, but there are definitely a few recipes that looked like they were worth a try. We pulled this one out and had it for dinner tonight and thought it was very good. 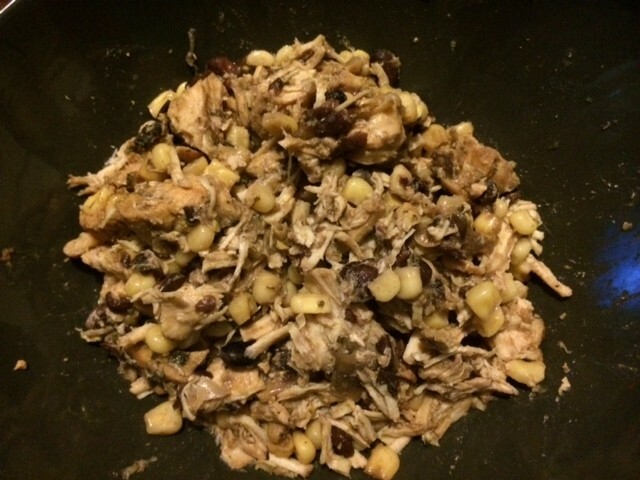 A little cheese or low fat sour cream would dress it up a bit, and some tomatoes or other color, but as a shredded chicken bowl on its own, we still enjoyed. Definitely would make again, and you can’t argue with having meals ready to go in the freezer. We were driving home from NYC on Easter Sunday, so what is usually an excuse to make a huge, elaborate meal ended up just being a nice, easy dinner. The one thing that’s easy to forget about ham is that it really is brain dead – stick it in the oven for a couple of hours and you’ve got a ton of food for 3740278907 bajillion meals. 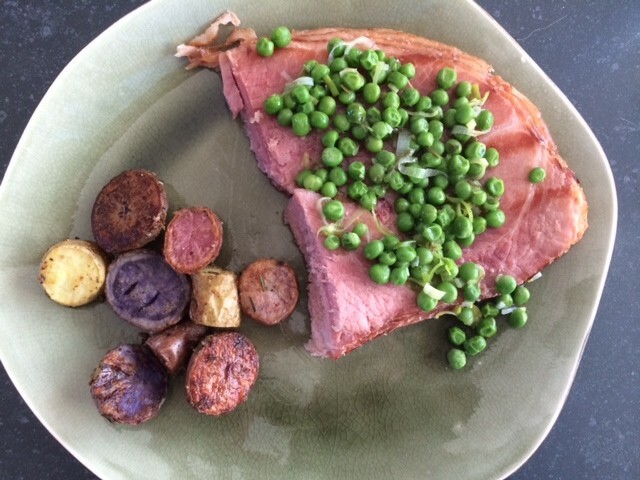 I had saved this recipe from Food and Wine, and a ‘quick’ Easter dinner was a good excuse to use it. I didn’t change much; we used Smart Balance instead of butter, and I cut the water in half for a thicker sauce. We loved this! It would probably be quite good as a side dish anytime. We had this with some mustard-roasted fingerling potatoes. Despite the fact that we live in international food heaven, paneer can be a pain to find in conventional grocery stores. 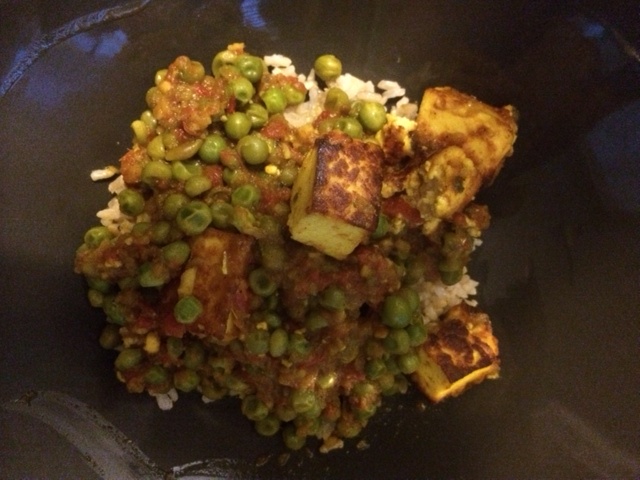 It happens that a couple of my favorite Indian recipes are centered around paneer, so I was really excited when my friend Missy sent me a link on how to make homemade paneer. It was super easy to make and really good. So we needed a recipe, and I picked Matar Paneer, one I like a lot. 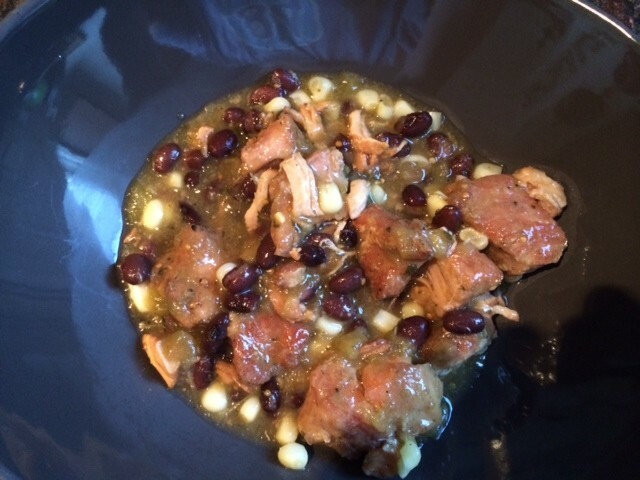 This was kind of a mish-mash of a Madhur Jaffrey recipe and some other cobbled-together on the internet. We liked it, but next time I’ll add WAY more liquid. We both like our curries on the soupy side. 😉 It was enjoyable and I’d give it a spin again. The paneer will *definitely* happen again. So I hesitate to call this a recipe, but really, it’s delish. And you could make your own salsa verde and then it’s a LITTLE more recipe-like. 😉 Regardless, it’s awesome, jars or homemade or whatever. I would say this just became a favorite for both of us. This was pretty quick and easy, and definitely did well with an overnight marinade. Next time, I’d double the marinade, but wouldn’t make too many other changes. 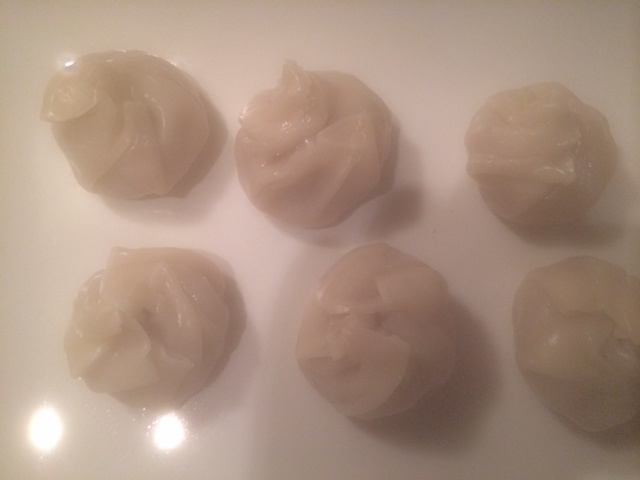 We actually served it over shirataki noodles rather than rice this go-round and it was good – but rice would be better as leftovers. 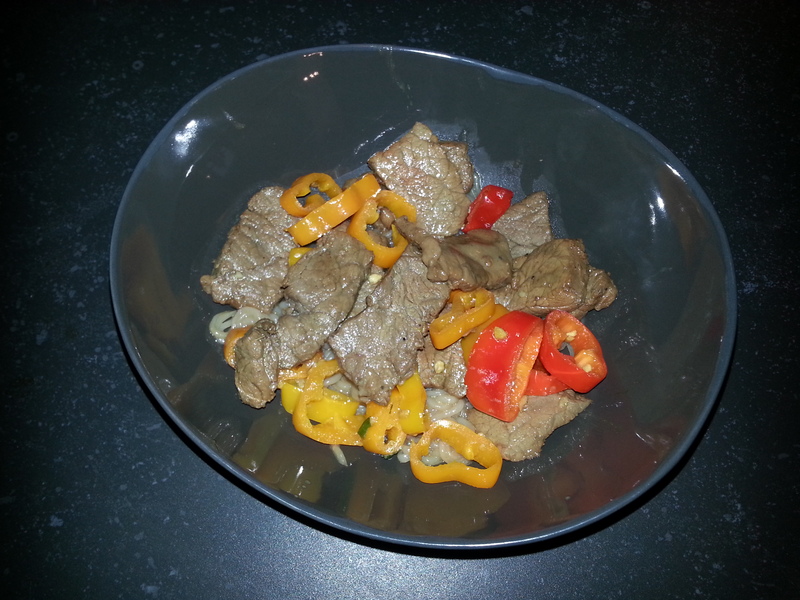 That said, the steak and peppers are fine on their own as leftovers!